Emily Clark comes home one night and once again, little Tucker is locked outside his door. He is too young to be on his own. When she finds out the neighbors he usually spends time with is gone on vacation, she is determined to give his Dad a piece of her mind for how Tucker is being treated. When Tucker directs her to the MC clubhouse, she begins to second guess her decision. But Tucker needs her to stand up for him, so she will stand up to his father and get her point across. When the man walks towards the gate, Emily loses all train of thought, the man walking towards them is tall, good looking, and his bad boy alpha male attitude. Reb or Rebel, president of the True Brothers MC, can't figure this innocent woman out standing in front of him. She has brought his son to the clubhouse and at night, which is very dangerous. But what he really wants is to pursue his feelings, or maybe it's just a hard-on, for "Sunshine" and see if she blossoms under him. She seems to push him when he wants to protect her, thinking he is trying to control her, while she fights for her independence. With the past she has told him about with her ex-boyfriend, he understands why she is scared, but he would never hurt her. When things begin to happen to Emily, can Reb get her ex to stop, or is there someone else after her? Will she let Reb and the club protect and keep her safe? Is she willing to give up some of her independence to be with Reb? I really enjoyed this story and I hope there will be more, the ending was perfect but there has to be more. Maybe in the next story of another MC brother. Another great one Ms. Archer, can't wait for more. I’m a huge MC romance fan and this was probably one of the best I’ve read in a long while! I couldn’t put it down! Emily Clark is a librarian who is living a life of poverty to pay off her student loans, this is what has her living in an apartment complex that isn’t exactly the best. Her 8-year-old neighbor, Tucker, is always hanging out at her place because his mom leaves frequently, and when Emily comes home to find him alone for an entire weekend, she decides to intervene. She takes Tucker to find his father, wanting answers as to why he’s allowing his son to live like he does. This lands her at the doors of the True Brothers MC. Reb can’t believe his ex is leaving his son alone all the time, but being in the middle of a divorce and a custody battle, there isn’t much he can do. The minute he lays eyes on Emily, he’s claimed her and he’s not letting her go. 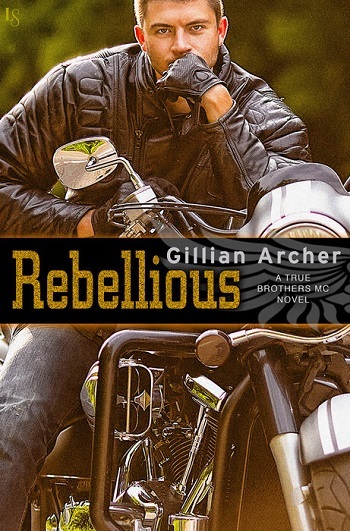 Though Emily is from a totally different world and struggles to accept the biker ways, she can’t help her attraction to Reb, will it be enough? I love when an author can take an MC read with a badass biker and make it a sweet romance. I especially like how tough Emily is, though she’s scared out of her mind to step up to the MC clubhouse she does it for Tucker and then she stands up to the big bad Reb! Definitely an entertaining read and I can’t wait for the next installment from Gillian Archer! 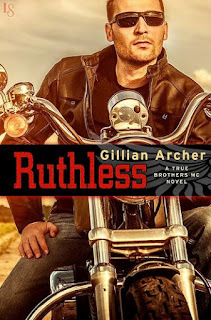 Reviewers on the Wicked Reads Review Team were provided a free copy of Rebellious (True Brothers MC #2) by Gillian Archer to read and review.